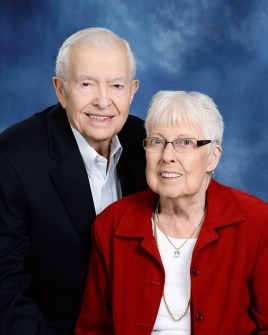 Secord, Wilmer (Bill) James, Of Oak Grove, Minnesota (formerly of Columbia Heights, MN and Webster, WI) passed away peacefully Tuesday, May 24, 2016 at the age of 85. He was born November 16, 1930 in Austin, Minnesota. He is preceded in death by his parents, Wilmer and Mary Secord; his loving wife of 63 years, Darlene; and sisters, Roberta Secord and LaVonne Bigelow. He is survived by his children, Michael (Eileen) Secord, Collette (Kevin) Caskey, Michele (Steven) Kokosh, Renee Alkire; six grandchildren; eight great grandchildren; brother, James (Teresa) Secord; and many nieces and nephews. Bill served during the Korean War and was honorably discharged on November 11, 1951. He was very proud of his time spent as an Extraordinary Minister at St. John’s in Webster, WI and receiving the St. George Emblem for his contribution to Scouting in the field of Catholic Relationships. He was president of Young Supply & Manufacturing Company, Goodson Machine and Pearlers, Inc. He was a charismatic and vibrant father, brother and friend that was passionate about his faith, his family, and spending time with his friends. Although his journey here has ended, Bill touched the lives of so many throughout his years and his amazing spirit lives on in all who met him. Many thanks are extended to the staff of Park River Estates Care Center for the care and friendship extended to Bill. In lieu of flowers, memorials are preferred to the Anoka Food Shelf (ACBC Foodshelf), 2615 9th Avenue North, Anoka, MN 55303 www.acbcfoodshelf.org. Bill’s visitation is at 10:00 am Tuesday, May 31st at St. Patrick. The funeral Mass will follow at 11:00 am. Following Mass will be a funeral luncheon.